Irs Form 3520 is not the form you're looking for?Search for another form here. Who Needs IRS Form 3520? What is IRS Form 3520 for? Form 3520 is used to report transactions with foreign trusts and gifts that a US person has received from foreigners or foreign corporations during the current tax year. An important fact is that each foreign transaction with a trust should be reported on a separate Form 3520. Is IRS Form 3520 Accompanied by other Forms? Form 3520 isn’t accompanied by other documents. But it has a number of obligatory attachments. The full list of attachments can be found on the IRS website. There is also an opportunity for two transferors of the same trust to file a joint Form 3520. When is IRS Form 3520 Due? Form 3520 is filed simultaneously with an individual income tax return. If the form is filed on behalf of a decedent then its due date is the same as the due date of Form 706. All the time extensions are included in the deadlines. 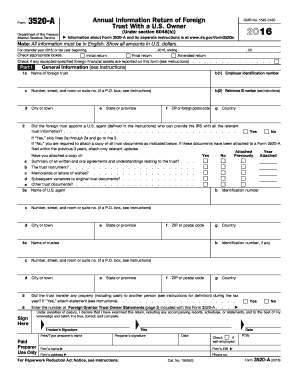 How do I Fill out IRS Form 3520? Every part contains some fields. There is an explanation for each field. Where do I Send IRS Form 3520? 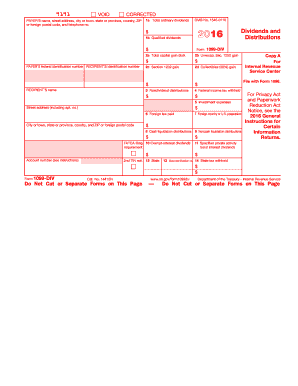 Once the form is completed, it is sent to the IRS. 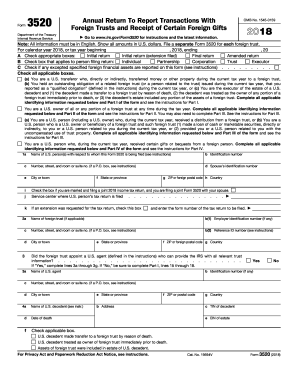 Copy 2 To be filed with recipient s state income tax return Copy C For Payer To complete Form 1099-DIV use Returns and the 2016 Instructions for Form 1099-DIV.